Global Export corporation has long established itself as a premier international import and export company. As the art of international import and export is only learned in the school of hard knocks, Global export corporation has mastered this art over a decade of close cooperation with various suppliers and manufacturers from around the world. We know Asia like no one else when it comes to international import and export. Global Export corporation has developed an impressive list of manufacturers using rigorous selection process in accordance with international quality systems such as ISO9000-2001, and ISO14000, regulatory agencies such as UL, CE, CSA, and TUV. These suppliers and manufacturers are available to produce parts to the highest industry standards. At Global Export corporation international import and export process with all its facets has been turned into a science and we proudly can proclaim our leadership in this area. Global Export corporation lives and breaths international import and export. Count on Global Export corporation to simplify this step of your product development, manufacturing, and delivery with focus on cost saving, on time delivery, and high quality of products. Whether you are looking for a world class organization who can help you with a supplier selection process, an organization who can guarantee quality of the products before shipment from manufacturers to your site using on-site inspectors, an organization who can take care of your logistics for your products shipping from your supplier, or whether you are looking for a world class organization that can take of all aspects of international import or export trade from A-Z, you can count on Global Export corporation as your company extension. 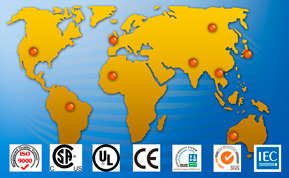 Whether you are importing or exporting, whether you are in consumer goods, electrical and electronics products, Remote Control (RC) hobby industry parts, electric motors, renewable energy products, clothing and garments, LED lights, automotive products, Solar panels, sheet metal, inverters, printed circuit board (PWB), tooling and molding, camping equipment, construction material, food supplement products, restaurant equipment, or furniture, Global Export corporation can help you with every step of international importing and exporting to and from any part of the world. Global Export corporation’s systematic supplier process selection in accordance to international standards ensures every step of the way will be as easy as possible. You will never have to worry about missed delivery date, bad quality products delivered to your door step, or coordinating logistics of your shipment when it comes to international import or export. Global Export corporation will be a seamless extension of your company working on your behalf. Global Export corporation can be a one stop shop for all the support you need in international import and export. For information about this site, please contact TryEZ, LLC. a marketing, advertising and website design company.